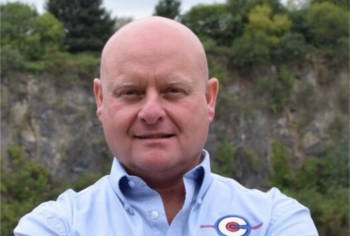 Connor Construction (South West) Ltd is probably best known as a surfacing specialist, but over the past two years it has been bringing together a team of top road planing talent ,including its new road planing director Neil Allen (pictured below), and investing in some serious kit. A well-known and respected road planing professional, Mr Allen has over 25 years of site and management experience. At Connor, he is responsible for overseeing every aspect of road planing. This includes promoting positive health and safety management, handling estimations and clients' quotes, as well as overseeing all planing operations. He joined Connor Construction in June this year after working as area manager at NRP for the previous eight years. Attracted by the challenge of establishing a new road planing division, Mr Allen was given the chance to grow this entire side of the business himself. Through commitment and investment from managing director, Ian Webb, Mr Allen has been able to hand-pick talented industry professionals, as well as make important investments, such as the latest purchase of a W220 road planer, which has recently been received. 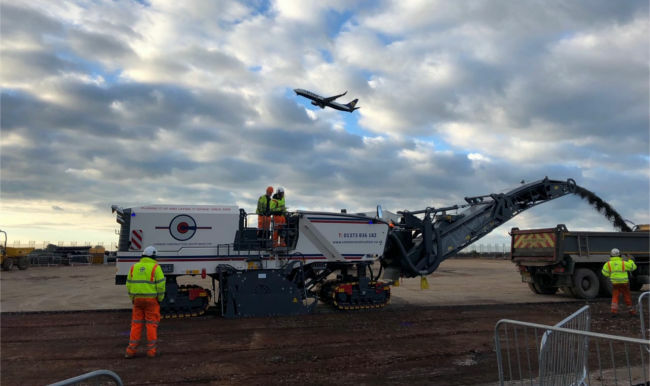 This machine has the capability of planing 200 tonne an hour, as well as having a water tank that can store enough water to enable a team to plane 800 tonnes on a single tank. It also has the ability to hold a lot more fuel compared to many other models. As soon as it arrived it was put to work at Bristol airport, planing in excess of 1000 tonnes a shift. It has also been working on roads in Gloucester. Since he became director in June, Mr Alen has made changes to the structure of the Connor Construction (South West) Ltd's road planing outfit. Connor Construction (South West) Ltd’s Road Planing division is made up of industry enthusiasts, who are clearly excited by their work and the machines that they are trained to operate. This includes the company's fitters, who are on call to their clients 24 hours a day in the unlikely case of a breakdown or emergency. As a company, Connor adopts the strategy of recruiting from within by training employees so that they can progress in their careers.